In this day and age where farmers are leaving their own agricultural land due to lack of security, profit, and future potential, there is hardly any farmer who wants their children to stick to their family profession. But the interesting part here is that modern youth is leaving behind maddening crowd and getting serious towards farming. In fact, some of the young men and women are knowingly choosing agriculture as their field. They literally want to create jobs for many, not to find job for themselves. There are also those who even leave their hefty-paying job like a 27-year-old M.Tech Professor Vallari Chandrakar. 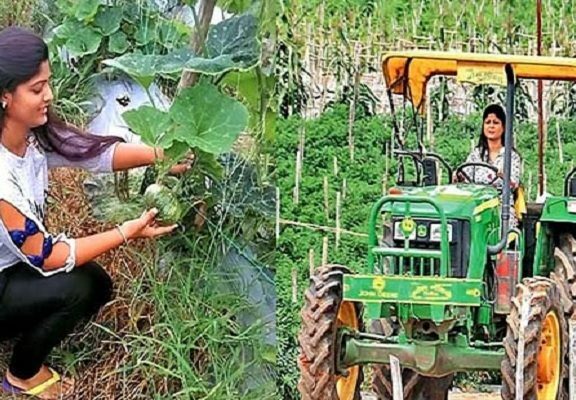 She quit her job to start her own farm in her village in Chhattisgarh. Currently, she is earning a lot of fortune. Vallari Chandrakar belongs to Sari village, Bagbahara, Chhattisgarh. In 2012, she completed her M.Tech in Computer Science and started as assistant professor. Her career graph was gradually growing and she was doing well. During holidays, she came back to meet her family in her village. This is where things started to change. How Vallari Chandrakar Decided to Start Farming? She observed farmers were still using traditional methods to cultivate their lands. She felt it as one of the main reasons eating up the overall profitability and productivity of farmers. She also felt that farmers don’t have any technical skills and they also don’t want to move to modern techniques of farming. 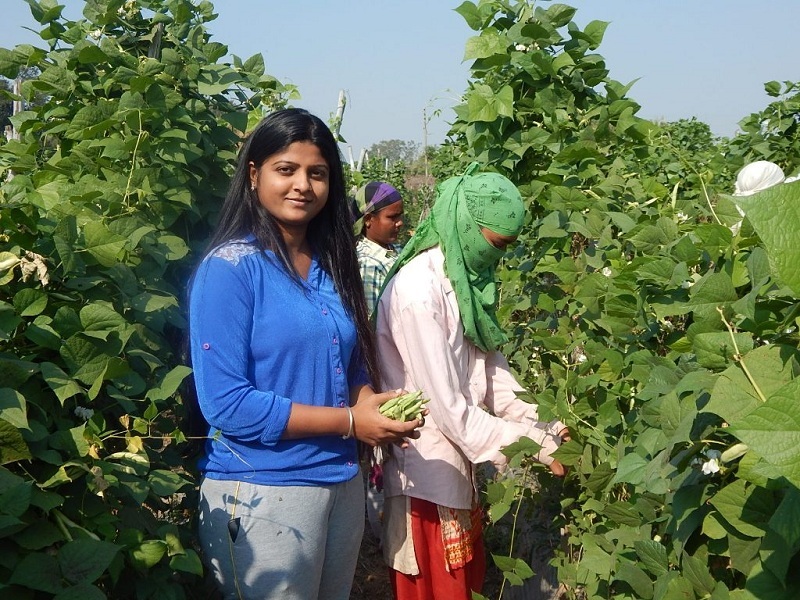 In 2016, she chose to quit her job and decided to bring change and she started her full-time farming in her village. Virtually every single day, we come across the news about farmers getting into debt and committing suicide. Due to excessive flood and rainfall or extreme draught or lack of rainfall, their crops get wasted. Farming on 15 acres of farmhouse land bought by her father is one of the very bold steps by Vallari. She found his land perfect for faming. So, she initially planted vegetables there. In her village, people cultivate broad beans, tomatoes, bitter gourds, cucumbers, gourds, capsicum and chilies. She cultivated them and she also exports them to various states. As per the demand, she supplies vegetables to Bhopal, Delhi, Odisha, Indore, Bengaluru, and Nagpur. She cultivates finest vegetables which have huge demand in Delhi and even in Israel. Sadly, we seldom take or even think of taking any step to improve the condition of farmers in India. We constantly blame on government, system and others and even debate in social media, with friends, family or colleagues on tea time about that matter. On the other side, there are still many farmers in developed countries who lead well-filled and healthy living just by farming. Not go anywhere else, even in Punjab and Haryana, farmers enjoy decent and even luxurious lifestyle with farming. On the other parts of the country, farmers are struggling hard to manage their needs. “Initially, it was too difficult. People took me lightly as I am a girl. I even learned local language to communicate easily. At the same time, I learned advanced farming techniques using the web. I brought farming techniques from Dubai, Israel, and Thailand to my land. People started showing interest on my produces and I started to sell them quickly thanks to the finest quality of vegetables,” she further said. Currently, she has seven assistants from marketing and engineering field. They are helping Vallari’s ideas to flourish. She also created jobs for several farmers in her village. She is also promoting the growth of socioeconomic status. 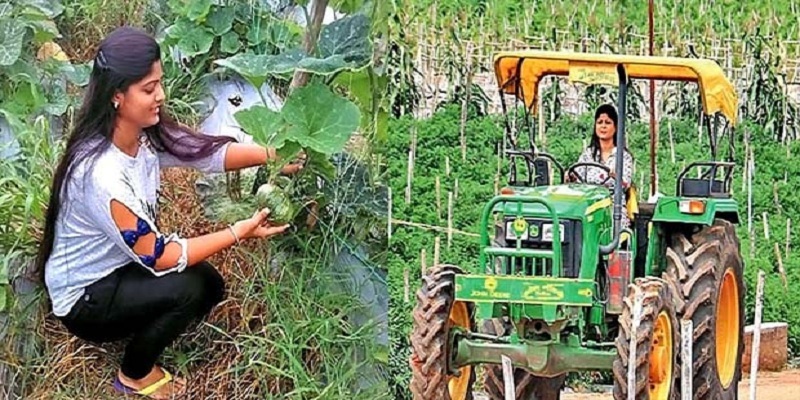 Her success has even inspired the farmers from other villages. She provides English language and computer training classes for free in her spare time to her village children. She even takes 2-hour English and computer classes for village girls in the evening. She shares her experiences with children to improve their knowledge of outside world and to better their communication skills.